Time is something we always want and need more of throughout the day. With a busy schedule, a full-time job, a family, all of your interests, distractions, and a million other little things, it’s hard to find extra time when you need it. Even just a few minutes can make a big difference. To try to make some extra time in my busy schedule, I use apps to keep my life simple and my day easy to manage. 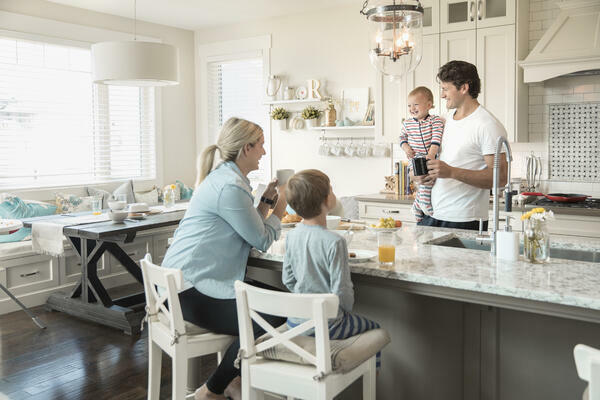 Whether you are looking for an app to help you save time on your morning commute, or an app to sync your connected home devices together, there is something for everyone. I don’t want to waste your time (pun intended) so we will get right to it. Here are 19 apps that will save you the time you deserve! Matchbook – The Matchbook app lets you create a go-to list of restaurants and bars and keep tabs on all of them. You no longer have to sit there and decide where you want to eat, which is the worst part about getting food. The best part about getting food is actually eating it. Obviously. Now you can have all the places, locations and notes organized and readily available. Instacart – One of the most timing consuming activity that we all have to deal with on a daily basis is spending time to purchase food. Weather that be driving to pick it up or spending your time in the grocery store, figuring out what you are going to eat takes up a lot of time. Instacart is an app where you can get groceries delivered on demand from your favorite supermarkets in as little as an hour. NoWait - When you go out to eat the last thing you want to do is wait before you are seated. With the NoWait App, you can put your name down on the waiting list in advance of actually getting to the restaurant. When you do arrive at participating restaurants, your wait time is significantly cut down. TripIt – TripIt can save you time when you are traveling. You are able to access your master itinerary on your smartphone, tablet, computer, or wearable. With the app, your itinerary is as close as your mobile device. You can even access your itinerary offline, while in flight or to avoid roaming charges when traveling abroad. With Tripit you can get directions to your hotel when you land. It’s like having a personal assistant who’s one step ahead and tries to save you time. Get The Flight Out (GTFO) – GTFO is what you need to find out what flights are dropping significantly in price when you get close to the departure date. If you are a spontaneous traveler, Get The Flight Out will get you where you need to go. Audible – Audible lets you listen to any book at any time. If you have a busy daily routine, sometimes it’s difficult to schedule time to actually sit down and read the books that you have been craving to read. The best part about audible is that you are able to listen to your favorite books wherever you are - at home, in the car, at the gym. Pocket – Have you ever been looking through articles, videos or stories and realize that you don’t have enough time to read them in that moment. When you finally do have time, you ultimately forget about the piece you wanted to read or you forget where you saw it and have trouble going back to it. Pocket allows you to capture content from anywhere and save them in one central location. You are able to save articles, videos, and stories from any publication, page or app. You are then able to curate your own space filled with everything you can’t wait to learn about. Feedly – Feedly is your central place to organize, read, and share the information you need to stay ahead of the next big trend in your industry. You are able to follow the blogs, magazines, and other sources that matter to you from your phone or tablet. Same time by downloading Feedly so you have fast access to loads of different sources of news and information. Sleep Cycle - Sleep Cycle analyzes your sleep and wakes you up at the most perfect time so you can feel rested. It will make waking up the morning a lot easier and ultimately saving you time. Gboard – Google has an amazing app that allows you to glide to text instead of type to text. It sounds like a small difference but it can actually save you a lot of time. Android has had this feature for years but recently Google didn’t want the IOS users to feel left out. I have done a test trial and so far I like it. The only issue I have run into is that the auto-correct doesn’t work all the time. Regardless, it’s definitely worth giving it a try. SwiftKey – SwiftKey is an app that makes you to type faster by sliding to text. Similar to Gboard, SwiftKey has a customizable keyboard that learns your writing. This app is fast and accurate. SwiftKey spots your misspellings, missed spaces, and missed letters to correct them for you. Momentum – Momentum replaces your new tab page with a customized dashboard featuring a to-do list, the weather, inspirations and more. The new tab page inspires you to be more productive, eliminates distraction and beats procrastination by reminding you on your focus for the day. Google Keep – If you are constantly writing notes down all over your house, all over your desk at work, or through your notes on your iPhone, Google Keep is perfect for capturing what’s on your mind quickly. With Google Keep you can add notes, lists, photos, and audio. You can quickly find what you need with quick filters and search for notes by color and other attributes like lists with images, audio notes with reminders or just see shared notes. Find what you are looking for even faster and let Keep do the remembering for you. IFTTT – IFTTT stands for “If This Then That” and is a great tool for automation. This app helps you find commands and create automatic actions for that command. It also helps your apps and devices work together in new ways to save you time. Buffer – If you spend a lot of your time managing your social media accounts, Buffer can save you the time you desperately need during the work day. Buffer is time-saving tool for managing social media for your business. Buffer makes it easy for business and marketing teams to schedule post, analyze performance, and manage all their accounts in one place. Rooster – Rooster is a calendar for your iPhone and is perfect for someone trying to stay on top of their day. Rooster your calendar and tasks in one so it makes it easy to manage your day. It also has a feature that allows you to add appointments faster by using the QuickCal Keyboard. Evernote – Evernote helps you feel organized without the effort. Evernote captures and prioritize ideas, projects, and add to-do lists, so nothing falls through the cracks. This is great for collaborating with teams, managing projects, deadlines, clients, and meetings with ease. Trello – Trello is a great tool if you want to collaborate your schedule with your team. Trello lets you easily move tasks around, label your boards with organized list including to do, doing, and done. Save yourself some extra time by subscribing to the blog! That way you can receive your favorite Cincinnati Bell content right away. If you subscribe to the blog today, you will be entered for a chance to win a Nest Thermostat!